Mississippi lawmakers have worked hard to close this loophole in the law, but the bills continue to die on the floor.7 While a ban on payday loans is unlikely, Mississippi lawmakers are fighting to improve payday lending in Mississippi to further protect consumers. Maximum Length of Loan:30 days for loans under $250, and 28-30 days for loans between $250 and $500. Rollovers Permitted:None can be renewed or otherwise extended. Fees and Finance Charges:Under $250, the charges will be $20 per $100 advanced. Loans $250-$500 will be charged $21.95 per $100 advanced. Maximum Number of Outstanding Loans at a Time:Not specified, but there is a maximum of $500 in one or more checks. There remains a constant battle between the consumer and predatory payday lenders in Mississippi. While Mississippi payday loan companies insist that their products help people with limited options out of jams for a small fee, the industry is making billions off fees from these predatory loans while trapping consumers in cycles of debt. Mississippi lawmakers continue to fight for the protection of those in need by pursuing stronger payday loan regulations. 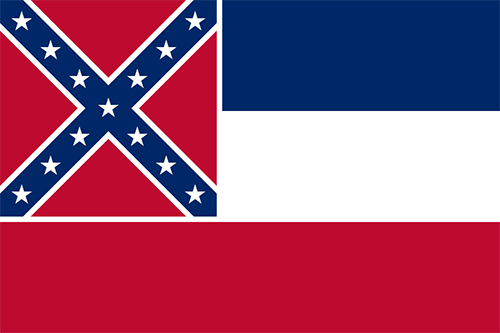 What other options do you have besides a payday loan in Mississippi? Oh! What about a title loan? Think again. While you might think title loans in Mississippi are the better alternative option to payday loans, our guide will show that is not the case. In fact, in just one year, the fees charged by title loan companies in Mississippi totaled $297,500,639 compared to payday loan fees at $230 million.11 While title loans exist in Mississippi, it seems they are the farthest thing from helpful for those in need—especially in the poorest state in the nation. If your car is repossessed due to failure to repay, you have 30 days after the loan maturity date, or three days after repossession, to pay the outstanding amount owed.14 The vehicle can be repossessed without judicial process and, if salvageable, can be sold immediately. Supporters of payday and title loans in Mississippi believe the availability of these loans help those in need—but in practice this is far from true. Payday loans in Mississippi cost residents more than $261 million in fees while title loans have reached $297,500,639 in fees alone.15 With such high interest on these predatory loans, how can anyone think payday and title loans are designed to help the consumer? They’re designed to trap those in the most need, in endless cycles of debt. Advocates and lawmakers in Mississippi are looking for ways to change the economics of the state to better protect consumers from the predatory ways of payday and title loans. But, if you’ve already fallen prey to payday or title loans in Mississippi, it is important to familiarize yourself with the current laws and where to turn to for help. If you have fallen prey to title loans or payday loans in Mississippi, don’t worry, there are steps you can take to further protect yourself. And, if the lender has not followed Mississippi law or has been harassing you, speak up—the Mississippi Department of Banking and Consumer Finance can help. When you have a complaint against a payday or title lender in Mississippi, you should first contact the company to resolve it on your own. Often, you might find a resolution that way. Remember to remain courteous and calm, explain the problem and what remedy you are seeking, and state whether you are willing to negotiate. If you are unable to get a response or reach an agreement, contact the Department of banking and Consumer Finance to file a complaint. Mississippi Department of Banking and Consumer Finance, residents can turn to the Mississippi Center for Justice. At Mississippi Center for Justice, advocates work to advance racial and economic justice, and that means predatory lending, too. While this organization understand the need for small-dollar loans, they oppose a business model that would institute the high interest rates payday and title lenders charge. As the nation’s poorest state, Mississippi is already struggling, and the Mississippi Center for Justice wants to put an end to the predatory ways that keep residents stuck in this endless cycle of debt—they’re waging a war against predatory lending. In 2014, the Mississippi Department of Banking and Consumer Finance ordered All American Checking to end a practice that was described as “tantamount to illegal rollovers of payday loans.”16 While lawmakers continue to fight for the residents of Mississippi, payday and title lenders are not going down without a fight. An innovative partnership between the Mississippi Center for Justice, banks and employers has worked in helping provide residents with access to responsible small-dollar loans, as well as free financial education. This allows residents of Mississippi to learn how to start building savings and credit, rather than drowning in debt. When looking for further information on payday loans and title loans in Mississippi, use this page as a resource for all your questions—it has everything you need to know, and then some. You know payday and title loans in Mississippi are a problem. But what about at the city level?